Ai Weiwei is a renowned artist of contemporary conceptualism whose trademark include different kinds of art media ranging from architecture, sculpture, and mixed media to film, photography and social media, becoming one of the first artists to use tweets and blogs as his medium. Born in Beijing to a family of free-thinkers with a long line of poetic ancestry, Ai Weiwei has been kept under the close surveillance of his government since his childhood. Having a very well-known writer for a father and a poet for a mother, Ai’s family has been imprisoned and exiled for accusations from the government of first, being Leftists and then later on Rightists. For twenty years, Ai and his family lived in small villages treated as labor camps where his father was forced to do hard manual labor. Growing up in that kind of harsh environment where education was almost non-existent, Ai learned practical skills like making bricks and furniture which would later become instrumental for the many installations he would stage as an artist. When he and his family was allowed to return to Beijing from exile in the far-flung villages, Ai enrolled at the Beijing Film Academy to study animation. As a student, he joined pro-democracy mass rallies and got involved in the underground art scene with a subversive group of artists who wanted to reintroduce art as a medium of free subjective expression, expulsing the communist influence and veering away from the traditional Chinese artistic expression. He then moved to New York in 1982, a time when conceptual art and performance art were dominant and Andy Warhol was the most influential. He immersed himself in the contemporary art scene as a street artist taking photographs of the city life while working some odd jobs. The stark contrast between the freedom in New York and the authoritarian rule in China pushed Ai to further defend and advocate freedom of expression in art. 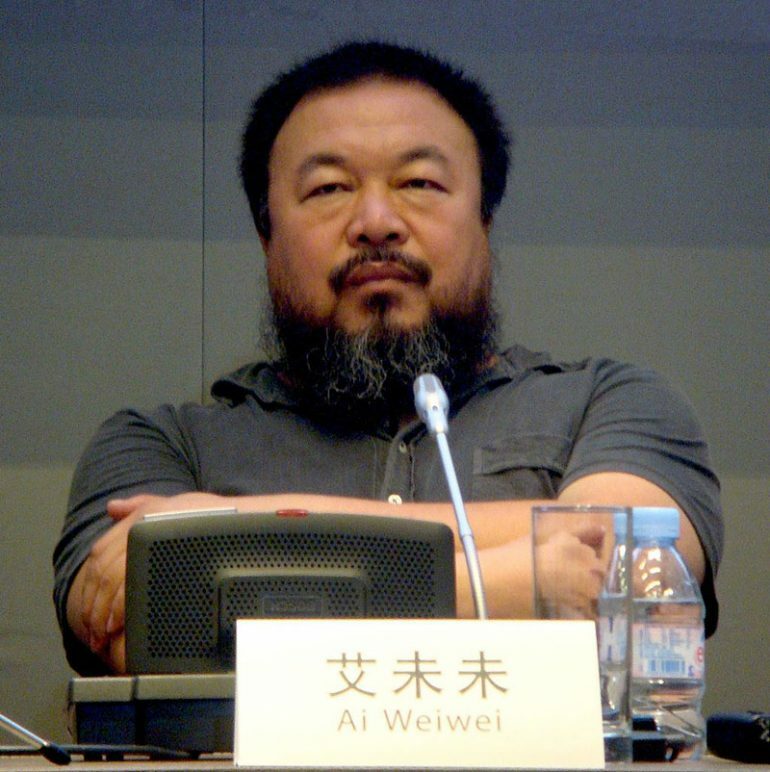 Considered the one of the “world’s most powerful artist”, Ai Weiwei’s fame comes with a price. Coming from a country where free-speech is not considered a basic human right, Ai Weiwei has been jailed, kept under house arrest, beaten up, and kept under constant surveillance by the very government he openly criticizes through his art, the People’s Republic of China. Probably because of his family’s precarious relationship and history with the Chinese government, the authorities have tagged Ai as a “problem child” for the country and has taken efforts to subdue his subversive art that might rouse the otherwise traditional submission of the Chinese to totalitarian rule. When Ai first made waves in the international art scene when he was selected to represent China at the 1999 Venice Beinnale for his work in co-curating an exhibition in Shanghai entitled “F*ck off”, it drew the ire of the Chinese government because it went against the state-sanctioned art that should only be representational of the communal interests of the state. Since then and as he continued to draw attention to the faults and flaws of China, Ai’s visibility as he rose to fame has been considered by the Chinese government as an active threat. 2008 marks the year when Ai has finally established himself as a valuable asset in the Beijing contemporary art scene after having moved back to the city from years of living overseas in New York. His art has picked up a following and he became so popular he was made a consultant for the design of the Bird’s Nest stadium to be used for the 2008 Beijing Olympics. This was a notable endorsement of his talent from the government but as Ai worked in the aesthetic construction of the stadium, he also began speaking up about the miserable working conditions and expressing his criticism of the Chinese authorities through Twitter and blog writing. This sparked the long standing conflict between Ai and his government. As he continued to take the liberty of being critical of the government though his art, the government in turn also vigorously began cracking him down in many ways through the years by shutting down his blog, demolishing his studio in a proposed arts district in Shanghai, banning him from Twitter and arresting and detaining him with no formal charges for 81 days. One of Ai’s most powerful and moving pieces was Straight which he staged in 2008 as an angry response to the disastrous collapse of shoddy schools that claimed the lives of many children after Sichuan earthquake struck that same year. This piece was composed of straightened steel reinforcing bars recovered from the rubble left by the said earthquake. Ai aimed to put the spotlight on government corruption what with the use of substandard construction materials. Along with this piece, he also publicized the names of the those, mostly children, who perished in the earthquake, an action which further angered the Chinese government and had the authorities scrambling to prevent the issue from escalating. With the tight hold of the Chinese authorities on Ai’ Weiwei’s movement and communication, the artist is subsequently more popular in the US and in Europe than he is in China, even though he has amassed a great following from the time of his return up to the present. Aside from the obvious fact that he has spent more time and had more freedom with his art in the Western world, Ai’s popularity in the West perhaps also has a lot to do with the West’s seemingly obsession with China as it’s superpower counterpart in the East, rising to be the most powerful in the world. More importantly, Ai has grown to be a global activist as much as he is an artist. Not only challenging the Chinese government, he also calls attention to humanitarian crises, particularly the plight of the refugees. In 2015, after he was finally allowed to leave China and travel internationally, he posed in a striking performance piece as the lifeless Syrian toddler who washed ashore after the boat the refugees used to flee into Europe capsized. 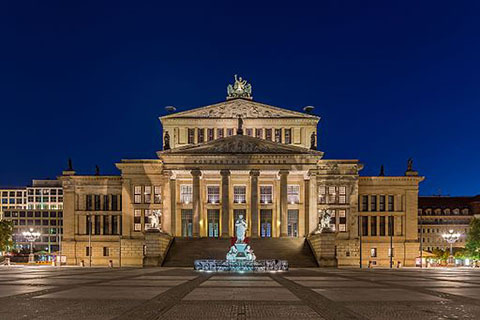 Earlier this year, Ai staged a public installation where he hung about 14,000 life jackets refugees used from making the very dangerous escape from Turkey by sea on the columns of the Konzerthaus in Berlin during the Berlin Film Festival. Since his release from China, Ai Weiwei has relocated to Berlin, Germany and has taken up teaching at the Universität der Künste while still holding exhibitions in different cities like Helsinki, Finland and Paris, France.